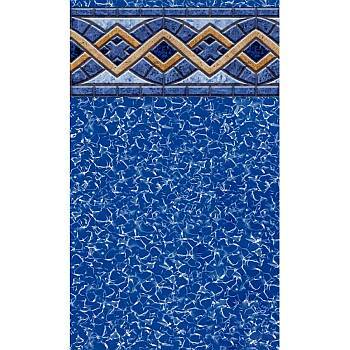 Liberte 25 gauge vinyl beaded pool liners for above ground swimming pools. Our premium liners are protected from pool chemicals and the sun's damaging U.V. rays. Our liners will last longer and maintain their beautiful appearance for years. Beaded Liners are made with a special bead at the top of the liner which snaps into a channel (Bead Receiver) at the top of the pool wall. This liner can be used to replace other beaded liners without additional equipment. This liner can replace an overlap or a hung liner with the addition of a bead receiver kit. This liner can only be purchased specifically for 52" wall height.